Having an external hard drive today is as common as a microwave in a kitchen. External hard drives are so common for every person today yet they are taken for granted. Most people will carry them when they travel and pack them in their carry on bag through the airport without a second thought. Moreover, people will have them sitting on shelves or desks or in drawers. Then when they least expect it someone will attempt to plug in their backup external hard drive and nothing happens. Lets get into the intricacies of how external hard drives are manufactured and why they fail more today than in the past. Hopefully, after reading this article you will have a better understanding of why your external hard drive clicking is happening to you. If you have purchased an external hard drive lately, you will soon realize they are much large in storage capacity than 5 years ago. Granted, as time moves forward so does technology, but in the case of hard drives larger storage doesn’t necessarily mean better parts. If you have an old Dell desktop computer you will remember the Maxtor hard drives that came with those. These things were built like a tank. In addition, they are extremely easy to perform DATA RECOVERY. Parts were extremely durable and forgiving in the clean room. Today however, in 2018 with the large 8TB drives or larger manufactures must cram a lot of parts inside a casing. This doesn’t give much room for error when something out of the ordinary happens to external hard drives. Just a little shift when spinning can cause an external hard drive clicking to begin. The clicking is due to a few things and hard to pinpoint unless you know for sure such as a DROPPED EXTERNAL HARD DRIVE or something fell onto it. External hard drive clicking sounds are due to a possible firmware failure which is not allowing the arm actuator to go into motion. Secondly, the most obvious cause of an external hard drive clicking is due to a mechanical failure. 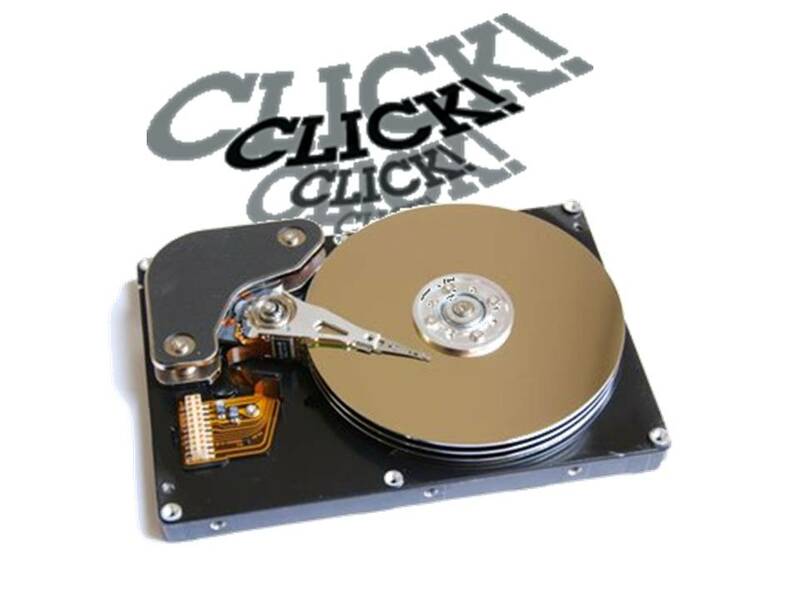 Moreover, manufacturers today are utilizing cheaper materials when building hard drives. This is a common problem for one large manufacturer which we will not name. Whenever we see or hear of an external hard drive clicking and it is this manufacturer we pretty much know immediately the drive may be unrecoverable. Unrecoverable due to the poor quality of parts utilized in the manufacturing process coupled with the proximity of the heads inside of the drives. There are a lot of mechanical failures today compared to just 5 years ago. When calling data recovery companies therefore you are asked several questions about your external hard drive clicking. Especially, who is the manufacturer of the broken drive. Secondly, what transpired when the drive stopped working? You may or may not know the answer to this most important question. Storage capacity isn’t asked just so we can quote a price for data recovery, but also to give us a better understanding of what we go through in the data recovery process. For more information on how to go through the data recovery process please call us at Data Recovery Cincinnati at 513-338-9756. We will be glad to answer any further questions you may have. Having an external hard drive today is as common as a microwave in a kitchen. External hard drives are so common for every person today yet they are taken for granted. Most people will carry them when they travel and pack them in their carryon bag through the airport without a second thought. Moreover, people will have them sitting on shelves or desks or in drawers. Then when they least expect it someone will attempt to plug in their backup external hard drive and nothing happens. Lets get into the intricacies of how external hard drives are manufactured and why they fail more today than in the past. Hopefully, after reading this article you will have a better understanding of why your external hard drive clicking is happening to you.